Cars powered by their own recycled tyres, reusable vending machine cups and streets made of solar panels: the 2017 Green Alley Award is shining a light on new designs for sustainable living. The award, launched in 2014 by environmental compliance provider the Landbell Group, recognises innovative startups that contribute towards building a circular economy. This year’s finalists, chosen from over 200 applicants across Europe, represent some of the most innovative and exciting new ideas in recycling and resource conservation. The discussion about what to do about takeaway coffee cups and the extent of their environmental impact shows no sign of abating, with an inquiry by the Environmental Audit Committee launched in September this year investigating possible solutions to the problem of disposable packaging. Ahead of the French government’s decision to ban disposable cups by 2020, Rennes-based startup Newcy has created a reusable alternative to the throwaway coffee cup, which can be used in ordinary vending machines. Once used, Newcy’s cups are collected from a designated bin to be cleaned and put back into circulation, sidestepping the difficulty and expense of recycling. Irish company Mimergy is seeking to recover the value in used tyres, with a scheme designed to turn rubber into sustainable fuels. Around one billion tyres are disposed of every year around the world, and can be recycled into construction materials, but are often stockpiled for years or burned, producing toxins. Noting that Ireland lacks an all-encompassing solution to this problem and exports up to 50 per cent of its tyre waste, Mimergy has developed an innovative heating process to safely break the rubber down. The zero-waste process extracts gases and renewable carbon, and converts the tyres into green, clean fuels and chemicals made from waste instead of oil. Solmove’s invention is Voltstreet, designed to take advantage of what the company calls the ‘untapped potential’ of roads. 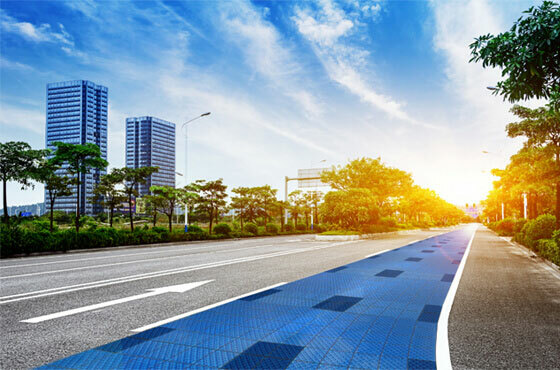 Voltstreet modules can be laid on top of preexisting road surfaces as a space-saving energy source, and have the potential to power electric cars that drive over them via inductive charging techonology. The ultimate ambition is to see roads double up as large scale power plants, producing clean energy while earning almost £200 per square meter. The team, from Munich, says it is utilising sustainable and non-toxic materials, with the main components being silicon and glass. The start-up is working to incorporate additional features like LED lighting, heat emission, and traffic sensors. Dutch startup Sustonable has found a potential new use for polyethylene terephthalate (PET) plastic, the most common material for disposable plastic bottles. By combining PET with Quartz, Sustonable has created a composite material for construction and design, similar in appearance to natural stone but harder than granite. The material is customisable in a vast range of colours, and is, the company says, 100 per cent recyclable, as is any waste produced during production. Faced with the millions of tonnes of plastic packaging finding its way into the marine and land, environment every year, Sulapac is a Finnish packaging company doing something different, presenting a product comparable to plastic but without the environmental cost. 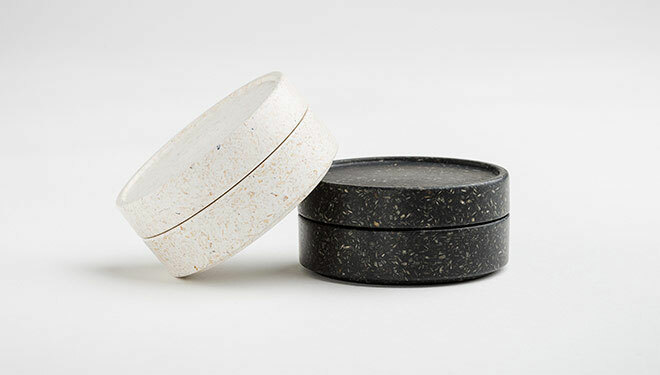 Made from renewable wood sources, the packaging is fully biodegradable and toxin free, and the company combines this mindset with a luxury aesthetic, a premium packaging brand which is both mass-producible and sustainable . Sulfotools draws our attention to the lesser known but pervasive problem of peptides, used in the chemical, cosmetic and pharmaceutical industries: conventional peptide production requires high use of solvents, which have been linked to health and environmental problems. The German company Sulfotools has created an alternative method, Clean Peptide Technology, which replaces organic solvents with water, with an added effect of decreasing hazardous byproducts. The team also claim their method reduces material and disposal costs by up to 50 per cent. The six finalists will be asked to pitch their business models to judges in Berlin on 9 November. They are competing for a prize package worth up to £23,000, including mentoring, PR support and the potential for investment. Last year’s winner, Green City Solutions, beat five other finalists to the top spot with their ‘City Tree’ concept, a moss culture installation for inner cities which can absorb 100 kilogrammes of CO2 a year. More information about the award can be found on the Green Alley Award website. UK-based start-up organisations focused on ‘turning waste into a resource’ are being urged to apply to The Green Alley Award 2015, which aims to develop circular economy businesses. Six start-ups addressing the circular economy have been named as finalists for the Green Alley Awards 2015.